For Auld Lang Syne - December Reunions! 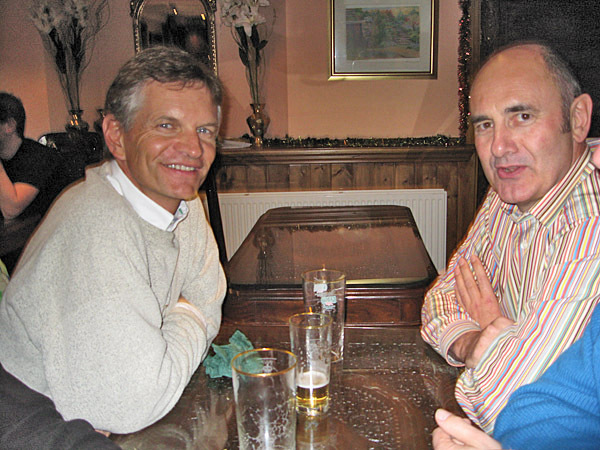 Three Briggensians who left in 1972 met again before Christmas in Oxford, some 15 years since any of us had last seen each other. The occasion was The Queen’s College Boars Head Gaudy (yes, with a real boar's head brought to the Provost at High Table accompanied by choristers – but don’t let that put off any current students thinking about Oxbridge, the occasion is uniquely traditional, having started in the 14th Century and was held originally on Christmas Day, and is only the prelude to some very good food and wine!). 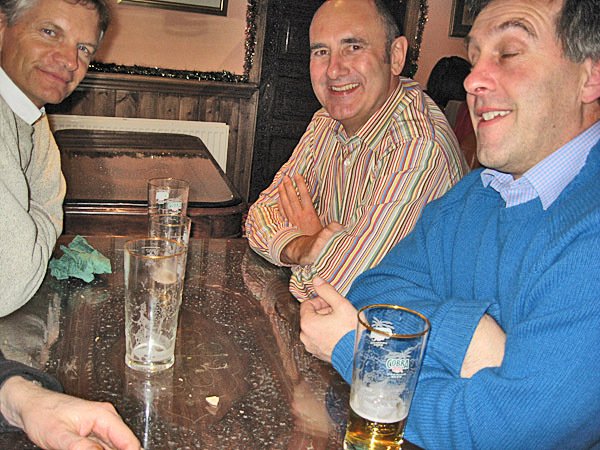 The three of us were Paul Reilly (who had studied Modern Languages), Dr Martin Green (Chemistry), and myself, David Booth (Mathematics, and football). Paul has been living near Paris for several years now, working as a translator. Martin is now living near Cambridge, still working for Unilever - he mentioned that he was still in touch with Richard Neish and Stuart Fox, colleagues from his two years in the Boarding House. We were all of the 1965 – 72 cohort (although Martin came to the school in 1970). 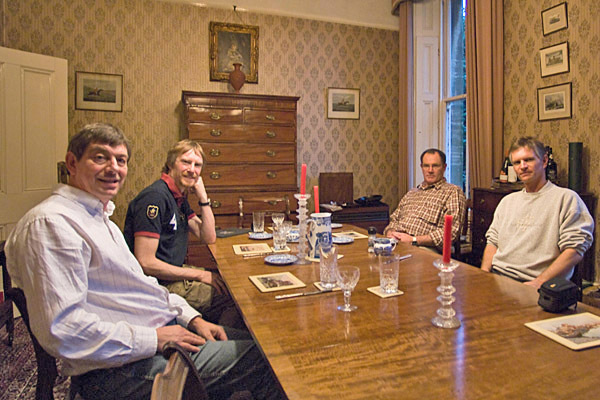 There were four of us who went to Oxford (Simon Bradburn chose Christ Church, the rest of us Queen’s) – and at the time this was seen as an excellent achievement by a small (360 strong) country state-funded grammar school – Oxbridge entrants were one of the ways in which schools could demonstrate academic success (no league tables then, of course – although I suspect that BGS would have ranked very highly in terms of the ‘added value’ - academic, sporting, and social – that it gave all its pupils (we became ‘students’ only when we went to University!). We weren’t the most successful year in this respect, though – two or three years earlier an exceptional 5 had won Oxbridge places, several ably tutored by the renowned and very dedicated Harry Stinson, who never missed an opportunity to use their example to try to spur us mathematicians on to greater efforts. The headmaster, Brian Williams, was also influential and very supportive in his customary quiet and wise way. Early in December 2007, I was sent on a surprise business trip to Bradford (Yorkshire), of all places. Living in Naples, Florida (since 1992), I left Ft. Myers airport at 29 C, I arrived in Bradford, at 5 C - which took quite some getting used to. Thank God my wife urged me to take my ski jacket along just in case ! I wore it every day for 2 weeks. I took the opportunity to visit the house I grew up in in Broughton, and later, Appleby. At both places I was invited in and shown around by very friendly owners who remembered the Beckers' name ! 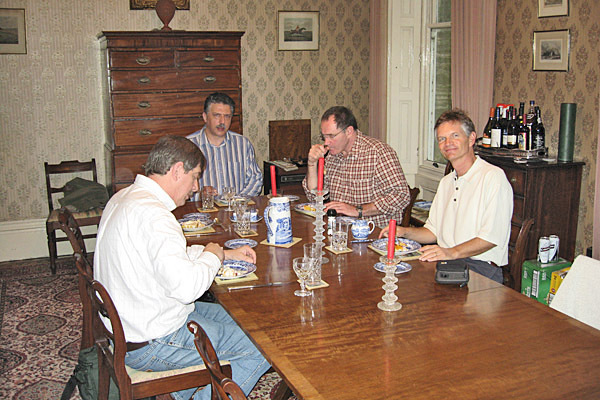 I also contacted old BGS friends, and with a fair amount of calendar shuffling and emails to and fro within the group, we arranged to meet at two venues. The first was at Greetwell Hall, hosted by George Jewitt. Ross McFarland, Steve Blakey and Paul Wood also attended, and George surprised us all by cooking a delicious lunch served in the grand dining room. A wonderful setting ! I hadn't seen these chaps for 30 years so it was quite an experience - having an image of 20 year olds, and meeting again at 50. None of us had changed a bit ;). Oh alright, perhaps a tad... I think Steve won the prize for having changed the least though - if he shaved off the beard, he could walk back into school and impersonate a student ! I was happy to be told I did not have a trace of an American accent (nor, even happier, an Australian one, where I lived for 5 years). Perhaps a trace of Dutch or S.African though - oh well, no one's perfect ! There was much reminiscing, laughter and catching up. Paul told interesting stories of his 11 years in Africa organizing aid. The afternoon flew by - time was much too short - but left us all with some great memories. 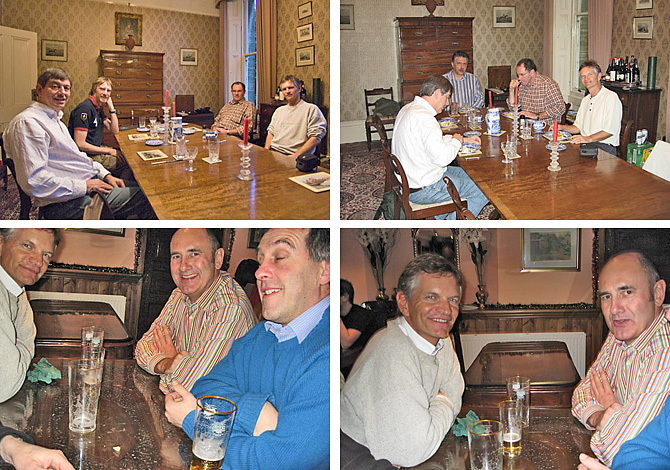 The trip down memory lane was repeated a few days later at Jonathan Well's place near Harrogate - where we were joined by Steve from Sheffield, and Neil Marland who made the trip down from Cumbria. Phil Traviss had to excuse himself at the last minute due to food poisoning - a great shame. After the initial laughter and amazement at everyone being 50 instead of 20, we drove to a nice curry place in Harrogate, followed by the traditional drink in a cozy nearby pub, and the evening ended back at Jonny's place (can't call him that anymore I guess!) to watch dvd's of The House that Jack built and The Racket. Both classics of the old Grammar School. Neil knew almost everyone in it - what a memory ! Jonathan easily won the prize for most changed - I had to admit, had I met him in the street and talked to him, I don't think I would have recognized him ! :-) However, as the evening progressed I began to believe that it was indeed he - as some of the old familiar personal trademarks began to slip through the cracks :-) !